Tired of the same ol’, same ol’ Christmas songs? Are you feeling down from all the usual schmaltzy schlock? Ready for a kick in the (musical) pants? 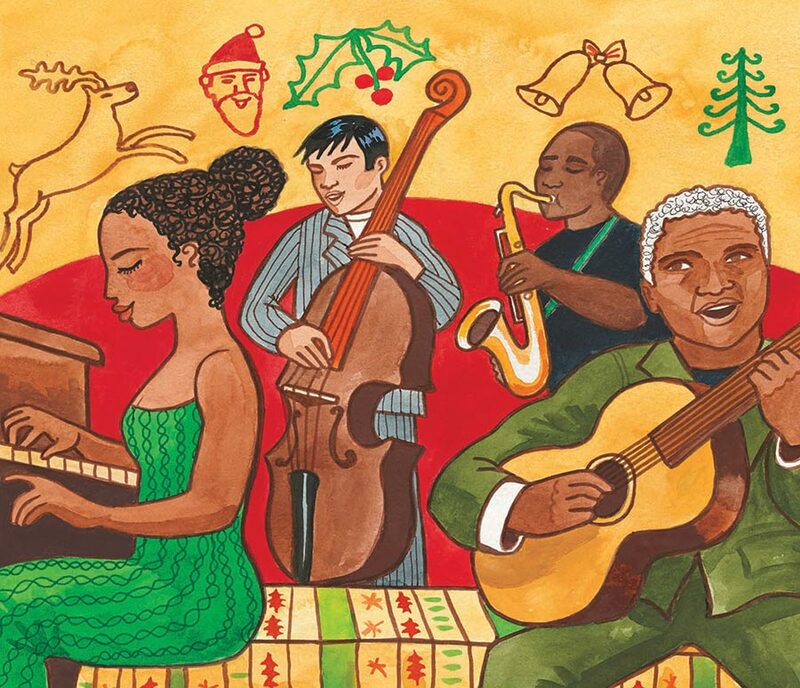 Here are the Top 12 Blues songs about Christmas, from vintage classics to modern renditions. Also, with so many tunes to choose from, I had to cut ones that were maybe a touch too Swing-y, or too Soul-y, way too Hip and/or Hop , and even a few that were beyond description. It was a difficult choice. Texas Blues. Janky but cool. Sharp but limited. Lightnin’ tells a story better than the best of them, using the notes he needs and not a single one more. Never one to shy away from a filthy, dirty song, here’s Clarence Carter (ye of ‘Strokin’ fame, a big hit in late 1990’s dance scene. Times were different, okay?). Also, honorable mention to B.B. King’s version. He doesn’t say Christmas, but the sleigh bells are a dead giveaway. And those harmonies — man, they are killing me. In the best way. GAH! Easy one. Could have gone with Charles Brown again, but this one is a touch more varied. Similarly, could have chosen B.B. King’s take , but I’m picking Ray as his arrangement is more unique. Dude is, in a word, class. Two words: he’s class and skill. Plus, he’s amazing. You knew I’d put Otis on this list. Let’s be real. And this one turns the classic Blues tale into a happy song! But then why does his voice still make me want to cry? Damn you, Otis! A Zydeco jam is the perfect way to beat those blues with a hand-clappin’, jumping groove! If you aren’t tapping your foot while wearing your terrible Xmas sweater, then my friend, you might want to see a doctor. ‘Cause you dead. A playful Jazz-Blues tune from 1953 featuring The Commanders (a studio and touring band) behind the great Satchmo, a man who knew no labels that could contain him. Jesus f—- Christ does Eric Clapton hate Christmas… I mean, he is seriously depressed! Any time of year, that’s relatable. Freddie King does a killer version of this as well, and right behind that one he also does “I Hear Jingle Bell” which uses the titular refrain as a break in the song. Smooooth. You good, buddy, you do you! I told you there were a lot of choices to be made! But in case you listened this far (you beautiful Blues addict, you) I got a couple extra tunes in the hope that you buy me a Christmas drink next time I see you at a dance event. I mean, I offer these in the spirit of giving. Yeah. Santa Claus Wants Some Lovin’ – by pretty much Everyone. Ever. Santa, it seems, is just a normal person after all. How extensive are the covers of this song? Even Bill Murray — yes, the Ghostbuster himself — gets in on it, alongside the creepiest-of-creepy George Clooney. Oh, and Miley Cyrus. I swear, you can’t make this stuff up. …Unless your name is William F. Murray. There ya go — 12 days of Christmas Blues songs (and then some) for your next holiday playlist that won’t make your home sound like a generic shopping mall. Now spike the eggnog and hit me with some of those Blues! Many thanks to the author Jered Morin. Dance Teacher. Event Emcee. Competition DJ. World vagabond. He also has his own Dance Blog on Facebook or his website which might have some interesting Blues & Swing stuff just for you.